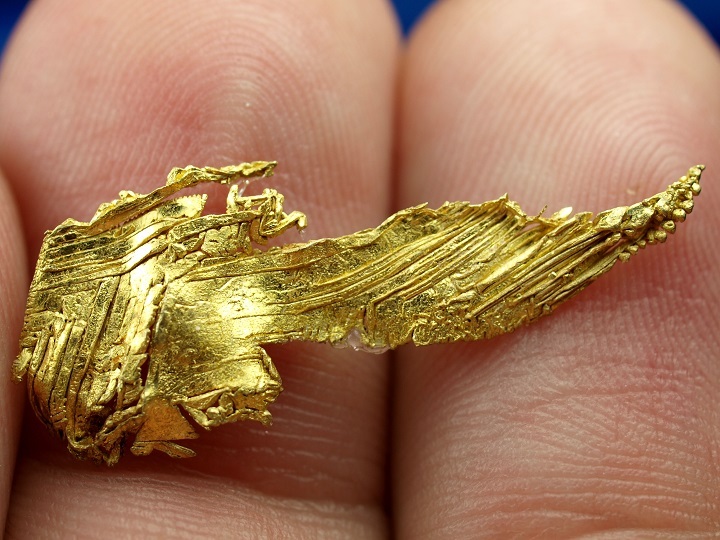 Very few of Nevada’s gold mines produce crystalline gold. One HUGE exception is a famous mine in central Nevada. The Round Mountain Gold Mine is one of the largest mining operations in the United States. It is a massive open-pit operation that is located in Nye County, Nevada north of the historic silver town of Tonopah. Gold mining started at Round Mountain in 1906. The early mining was done by tunneling underground and following the rich veins of ore that contained free-milling gold. This method was used for several decades and several hundred thousand ounces of gold were recovered as a result. Underground mining did have its limitations however, and in the mid-1970s it was converted to an open-pit mine which increased production considerably. There are many Nevada gold mines that use this method today. Since that time, well over 10-million ounces have been recovered from the huge Nevada gold mine. One amazing thing about the Round Mountain Mine is the spectacular specimens of gold that have been extracted from the mine. 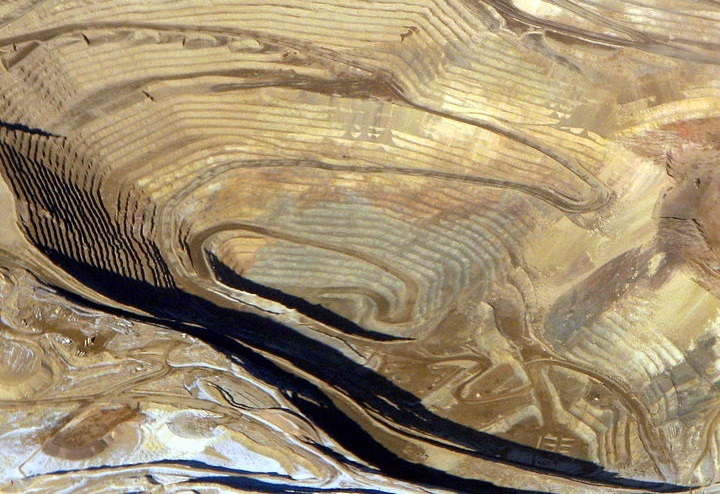 Most gold mines in Nevada don’t produce large pieces of gold. In fact, most of the mines operating today produce gold that isn’t even visible to the naked eye and required cyanide leaching to extract the gold. 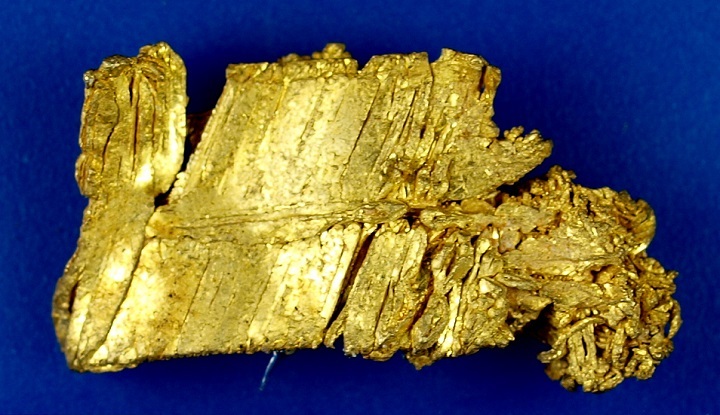 Some of the gold crystals that have been found at the Round Mountain Mine are incredible. Some of the best specimens in the world come from this mine. They are extremely valuable and highly sought after by collectors. 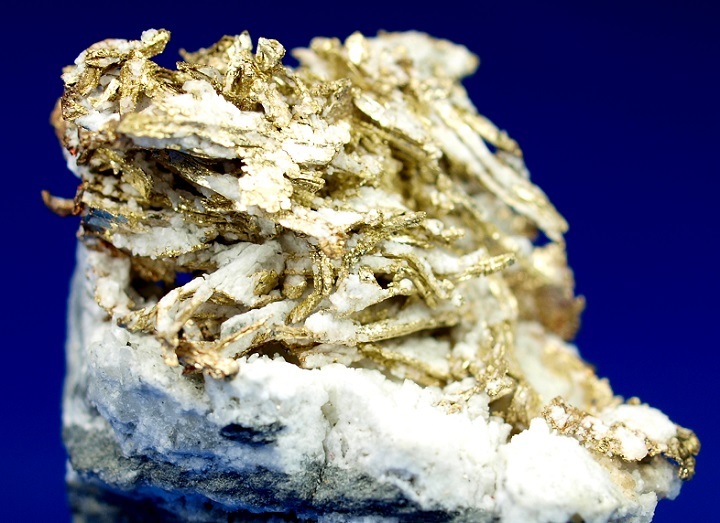 During the 1990’s when the gold price was low, this Nevada gold mine was quite unique because it was active in collecting their high grade specimens and selling them to the collectors market. You will still see a lot of these crystalline pieces for sale today at large mineral shows. Unfortunately, most of these are specimens that were mined during the 1990s and marketed to collectors when the gold prices were extremely low. With the current prices at well over $1000 per ounce, Round Mountain no longer markets their gold to the collectors market. All of the gold they mine is processed and refined into bullion. It is unfortunate that these amazing natural gold crystals are being lost. However, the mine has explained that it would actually cost them more money to stop operations to try and recover the gold crystals than it is to just crush and melt them. There are still some nice pieces of Round Mountain gold out there. You will see some impressive pieces if you go to the Tucson Gem Show or other mineral shows that have high grade specimens on display. 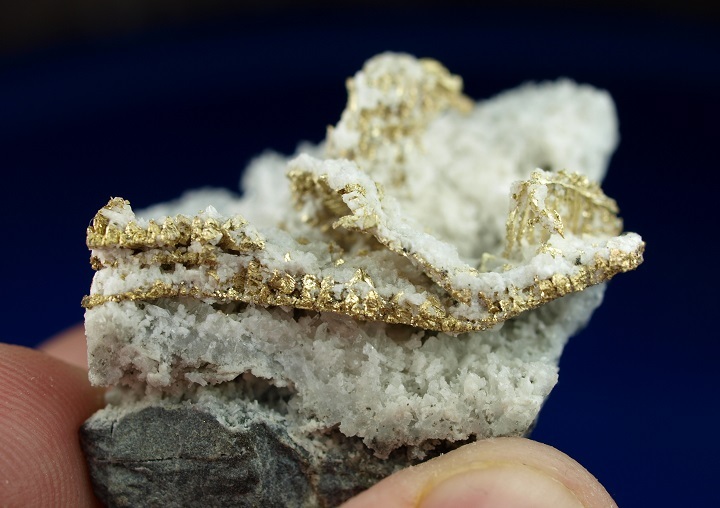 If you like to collect specimens from Nevada gold mines then a piece of gold from Round Mountain Mine is a must-have! They will generally be priced anywhere from 2x to 10x the spot price of gold.